While Chiellini was complaining to the Mexican referee about Suarez biting him there was a Norwegian cashing in on the action. 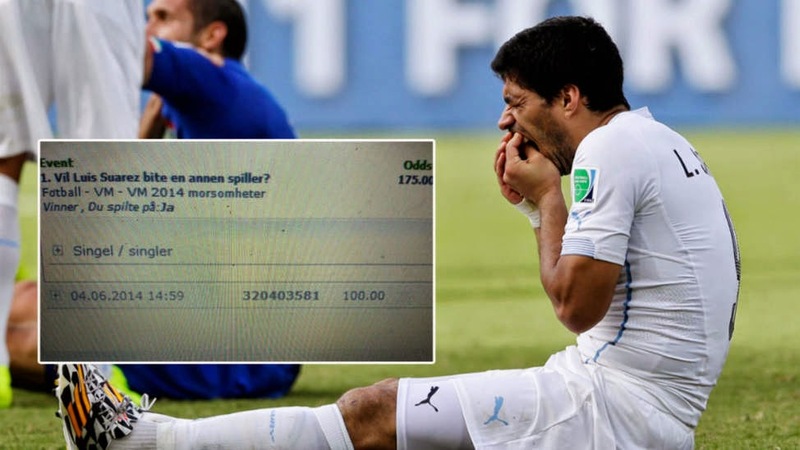 Before the start of the World Cup in Brazil, a Norwegian man placed a bet that Suarez would bite a player during the tournament. 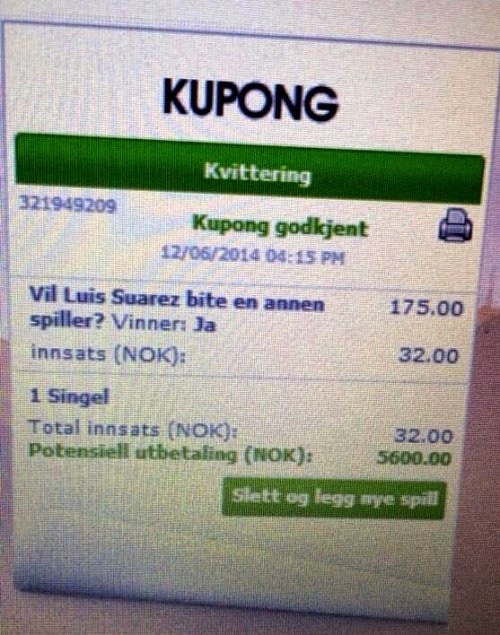 Yesterday he cashed in on his bet and earned himself 673 euros. The amazing thing here is not that someone would place a bet on such a strange occurrence, but rather that some betting place would accept such bizarre bet. I am sure your regular betting sites like Bwin or Bet365 didn’t offer betting odds on this incident, but perhaps they should have. Richard Elmerson placed the bet on June 12 and only had to wait for 12 days for his bet to have a quick return. According to ESPN, 166 other people placed similar bets but with much smaller payouts. Once again, where are these people placing these bets? What odds were they given? Considering Suarez track record I would think the odds of him doing it again would be high. In the meantime in Norway, Richard Elmerson is laughing all the way to the bank. I wonder if he will use any of his winnings to go out for dinner.